To paraphrase liberally from Jane Austen, it is a truth universally acknowledged that a Hollywood blockbuster in possession of a good fortune must be in want of a Funko Pop line. Captain Marvel is no such exception — and its Pop vinyl toys are giving an intriguing little hint about the movie. 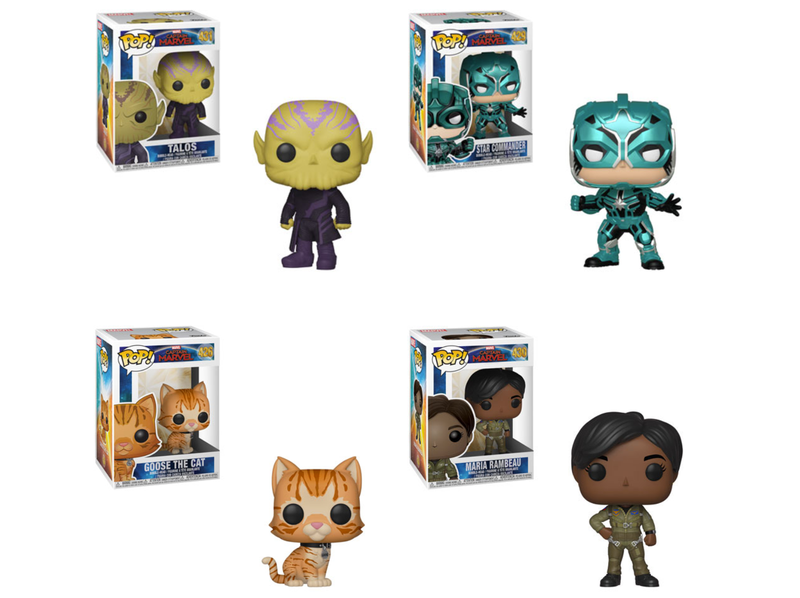 Today, Funko officially unveiled its frankly ginormous array of tie-in merchandise — across pencil toppers, key rings, cutesy little vinyl toys, and more — for Captain Marvel, set to come out in January of next year. Among them, of course, are 14 new and “chase variant” Pop vinyls. Need a giant headed Skrull in your life? Or a Maria Rambeau, mother to Monica, the first female Captain Marvel of the comics? Or perhaps even a likeness of Carol’s pet cat, renamed from the Star Wars reference it had in the comics (Chewie!) to what is presumably a Top Gun one (Goose!)? They could all be yours. 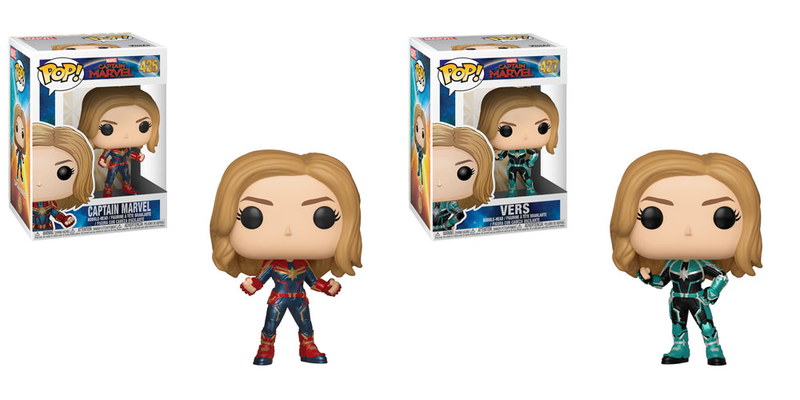 But hidden among all the details in an interesting little differentiation Funko makes between versions of Carol in her iconic red-and-blue supersuit, and the Kree-green version we know is also in the movie. In the red-and-blue, she’s Carol Danvers, the Mighty Captain Marvel. But in the Kree suit? She’s...Vers. It’s a differentiation we haven’t heard before, and whether or not it’s simply a merchandise-specific thing remains to be seen (so of course, take all this with a liberal pinch of salt). But given what we know about the film’s basic premise — that Carol, after a time serving in the Kree Starforce, crash lands back on Earth struggling to comprehend that she supposedly has memories of a life there before she was ever on the Kree homeworld of Hala — it kind of makes sense that the Kree version of her could have an alien-ish name. It’s presumably the one given to her when whatever happened to her memories occurred (something we glimpse in the first trailer), because if your brain’s been tweaked to forget the fact that you were once an Air Force pilot on Earth, you probably don’t wanna be running around on a planet filled with people with names like Mar-Vell, Yon-Rogg, Minn-Erva, Korath, or Ronan, with a name like Carol Danvers. And so, a few syllables lopped off later, she becomes Vers. Maybe the writers could’ve taken a page out of the recent comic book retcon of her origin, and make her Car-Ell, but that’s probably much sillier to say out loud in a Hollywood blockbuster and have it try to sound at least a bit different than “Carol.” We’ll have to wait and see how (and if) it actually plays into Captain Marvel when the movie hits cinemas March 8, 2019.